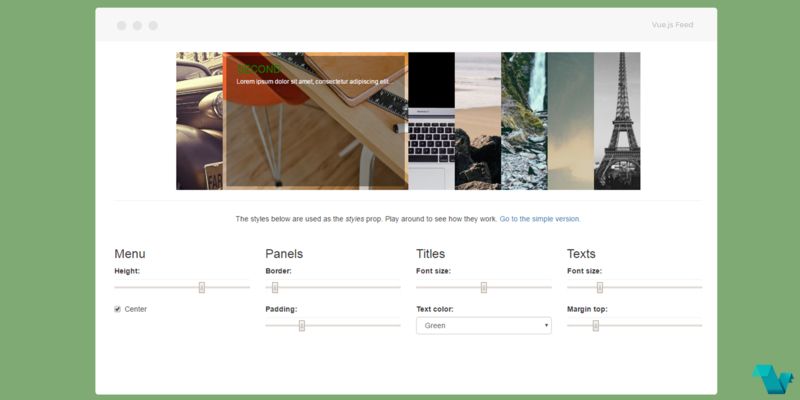 Want to create a neat row of images that expands and contracts when hovering and leaving, with nice transtitions? Well you don't have to because in Vue projects a good solution is the vue-accordion. A simple, horizontal, expanding accordion menu component for Vue.js. Please note that the API has changed. Check v0.0.3 documentation if you use the old version. Also available: accordionClass as a string bounded to the class attribute of the main div. To see more the rendered structure of the accordion head to the GitHub repo, and maybe give it a star!